LOCATION LOCATION CLOSE TO HOSPITAL AND SHORT DISTANCE TO SHOPPING WOULD MAKE A GREAT RENTAL OR YEAR ROUND HOME. 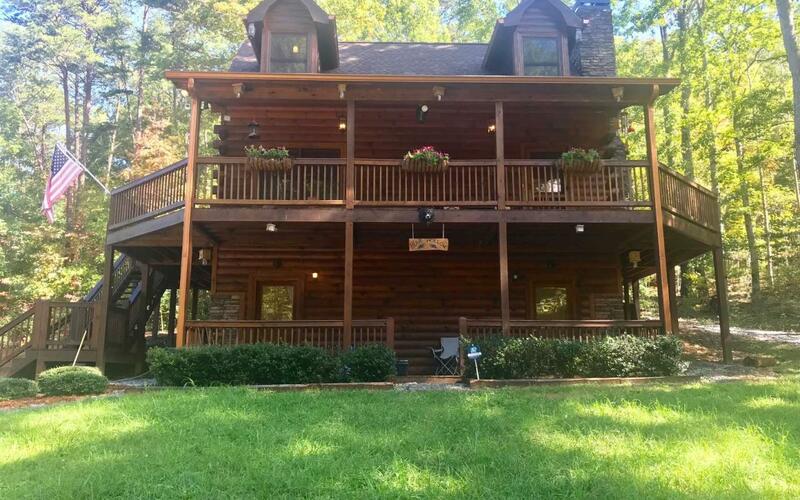 ROOM TO BUILD A GARAGE TRUE LOG CABIN STUNNING PROPERTY LOCATED CLOSE TO TOWN WITH .86 LEVEL LOT CIRCLE DRIVEWAY WRAP AROUND PORCH AND DECKS WITH PARTIAL LONG RANGE MOUNTAIN VIEW. CABIN COMES PARTIALLY FURNISHED . CABIN HAS NEW ROOF AND RECENTLY STAINED GREAT CURB APPEAL.